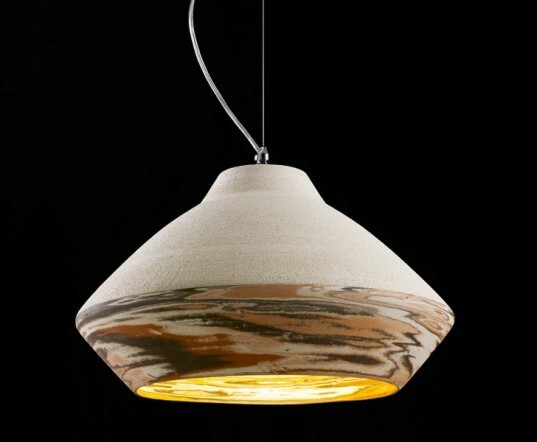 ILIDE (Italian LIght DEsign) is a new lighting company that will make its debut next week at the 2012 Milan Furniture Fair with two collections of stunning handmade lamps. ILIDE’s locally-made lamps are designed by a team of 20 award-winning designers who work with artisans to create modern lamps inspired by time-honored craftsman techniques. The resulting luminaires feature warm, organic shapes, textures, and colors that are impossible to replicate through industrial processes. ILIDE strives to create quality “Made in Italy” products by locally producing each and every lamp. They work with Murano glass blowers, potters, and wood carvers that are renowned for their skills and product quality. Since they aren’t made using industrial processes, each of ILIDE’s handmade lamps is unique. This year Ilide is making its debut with two collections. The first is called “Unicità” (Uniqueness in English), and it consists of lamps named after the Italian cities they were inspired by. This creates a connection between the lamps and their locally-sourced materials and craftsmen. The second collection features experimental products whose craftsmanship is inspired by modernity and technology. Ilide will be showcasing their products at their Fuori Salone exhibit at Stuperstudio during the Milan Furniture Fair, which runs from April 17-22nd. 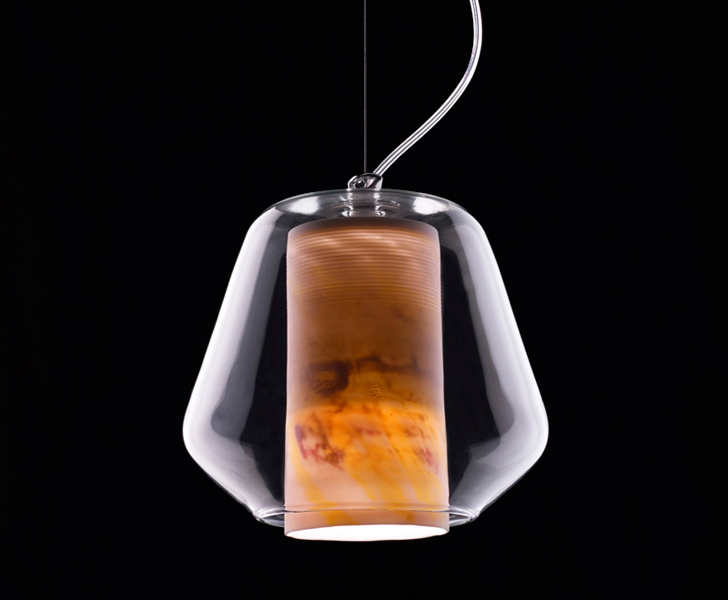 ILIDE (Italian LIght DEsign) is a new lighting company that will make its debut next week at the 2012 Milan Furniture Fair with two collections of stunning handmade lamps. ILIDE's locally-made lamps are designed by a team of 20 award-winning designers who work with artisans to create modern lamps inspired by time-honored craftsman techniques. The resulting luminaires feature warm, organic shapes, textures, and colors that are impossible to replicate through industrial processes.